Dr Nara Monkam is the Director of Research at the African Tax Administration Forum (ATAF) since February 1, 2014. She is also a member of the Davis Tax Committee, appointed in July 2013 by the Minister of Finance to reassess the South African tax system. 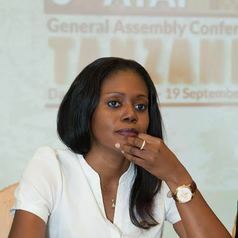 Prior to joining the ATAF, she was the Deputy Director of the African Tax Institute (ATI) and a Senior Lecturer (2009-2014) in the Department of Economics at the University of Pretoria in SA.